Bailey. We know her. We love her. She inspires us everyday. And she needs our help. 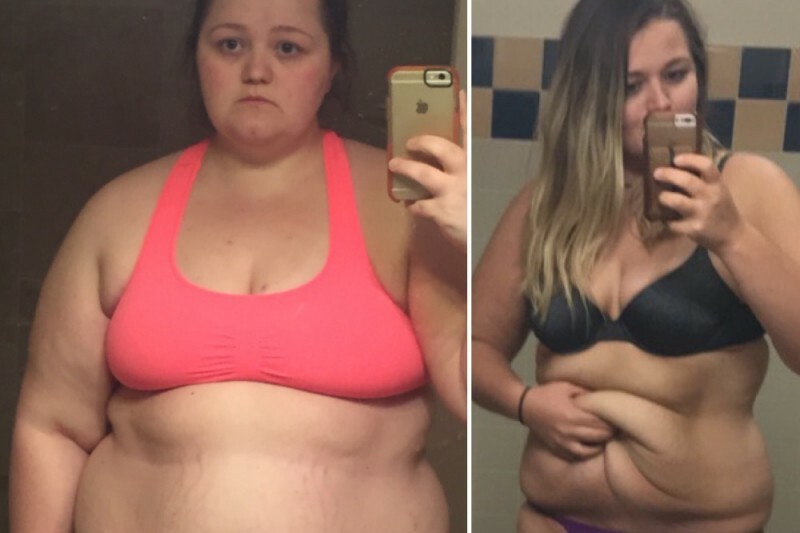 Bailey has worked SO incredibly hard and persevered her way to a 120 lb weight loss. This weight loss has left her with a happier, healthier life that she is so incredibly proud of. She has accomplished SO much. More than she ever thought possible. Bailey has gained so much confidence since losing weight but the one thing that she is struggling to overcome is the 16 lbs of loose skin that have been left behind as the weight disappeared. While I know she understands that she is far better off with the loose skin than she was with the extra weight, her total dream come true is to be able to have skin removal surgery. After several consults with multiple surgeons, the reality remains the same. Affording this surgery is just something completely beyond her reach. She was heartbroken but determined to find more information. Once her insurance turned her down, it just seemed as if this dream would never be fulfilled. When she initially posted about her frustration and devastation about remaining in a body she is not fully comfortable in, so many of you urged her to open a Gofundme account. It's not something that Bailey would ever be able to ask for on her own and I know she would never even consider it without exhausting all other options and so here we are. So I'm here doing it for her and on behalf of so many of you that requested it. The outpouring of love and support Bailey has received has been nothing short of amazing. What a truly awe inspiring community Instagram is to be able to support each other from afar! Every single donation will be so appreciated! And because I know Bailey would want to thank you all individually, if you feel comfortable doing so please send your mailing address to bailey (email is in her bio on IG). I'm sure she would rather hug and squeeze each one of you but we will go for the next best thing. Let's get our girl to her goal and watch her make her way to getting the surgery that will help her to continue achieving her goals of a happy healthy body! I love, love your blog and IG. I love your authentic, honest voice and great recipes and tips! Thank you! Best wishes to you and your future!! This procedure completely changed my life and I am so happy to help in anyway! You deserve this! Congratulations!! So excited for you, Bailey!